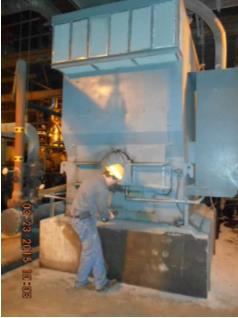 On March 09, 2015, HECO was called in to help evaluate vibration and noise concerns with a coal-fired power generation plant's Boiler Feed Pump Motor. (9000HP, 1800RPM, 13,200v, Siemens Allis). 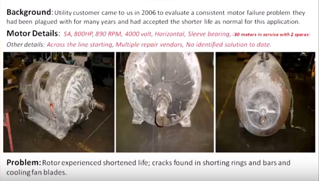 Initial information from the plant vibration team indicated rotor related issues.